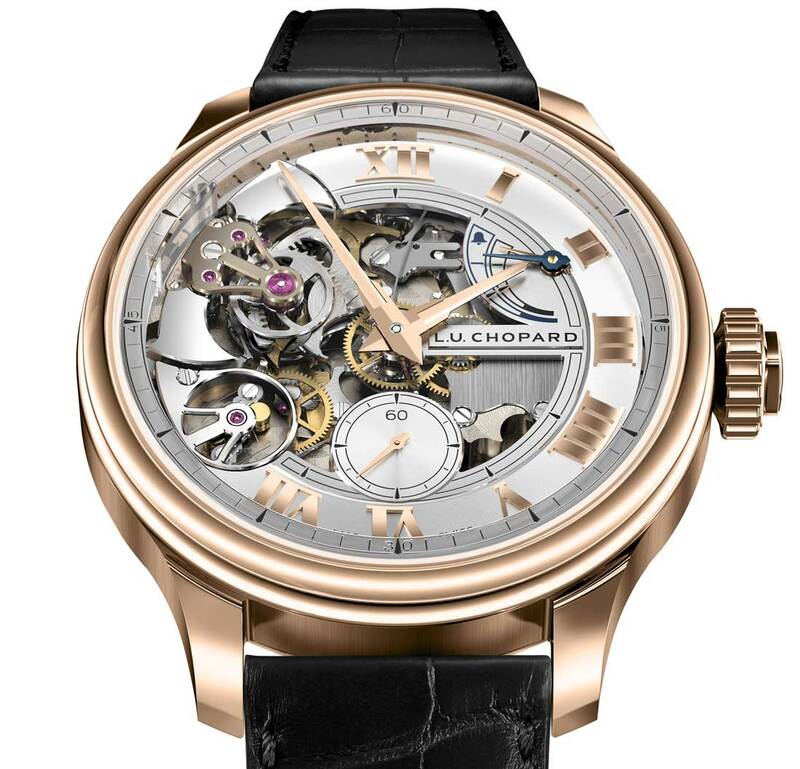 After more than six years of research and development, Chopard is now launching its first ever minute repeater on occasion of the 20th anniversary of the Manufacture. 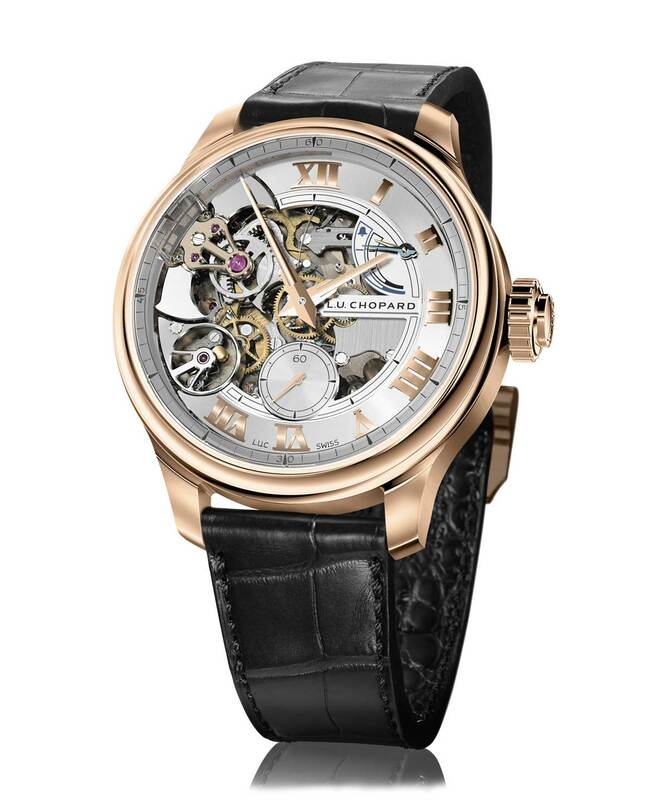 The L.U.C collection already included the L.U.C Strike One model launched in 2010, which chimes each striking hour. The collection now welcomes a minute repeater entirely developed, produced and assembled in-house: the L.U.C Full Strike. This 42.5 mm-diameter watch in Fairmined rose gold (a guarantee that gold comes from a cooperative whose operations are certified as ethical, fair and sustainable) framing an openworked gold dial houses a substantial number of technical solutions that make it one of the most innovative minute repeaters on the market. The L.U.C Full Strike chimes the hours, quarters and minutes on transparent crystal gongs. 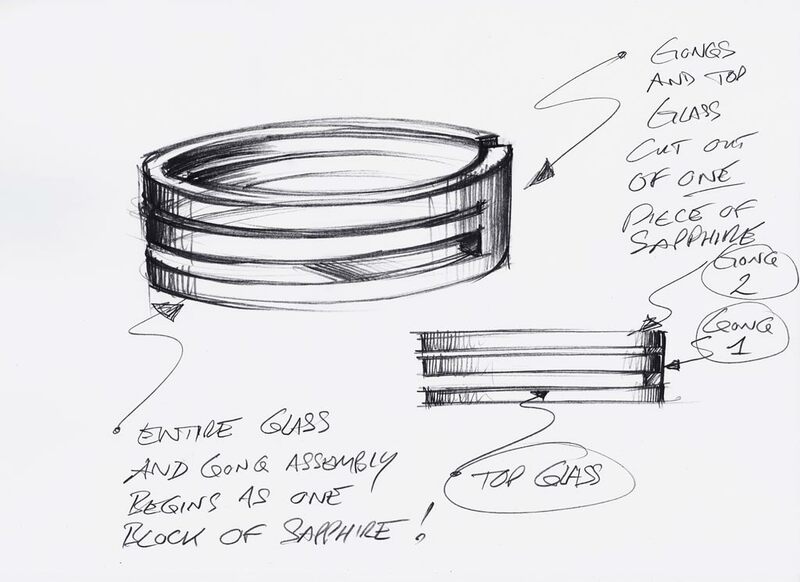 These sapphire rings are an integral part of the watch glass, which creates a perfect loudspeaker faithfully to diffuse the chimes of the hammers striking the sapphire. This is a unique technical solution which is visible at 10 o’clock and results in a tone of great purity and power (think to a knife delicately tapping a Bohemian crystal glass). 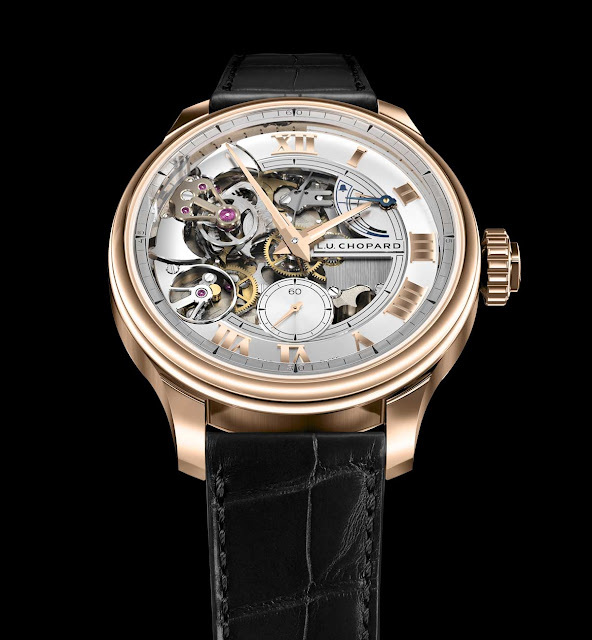 The perfect physical integrity between the gongs and the watch glass transmits the sound directly outside the watch, with all its strength and personality. 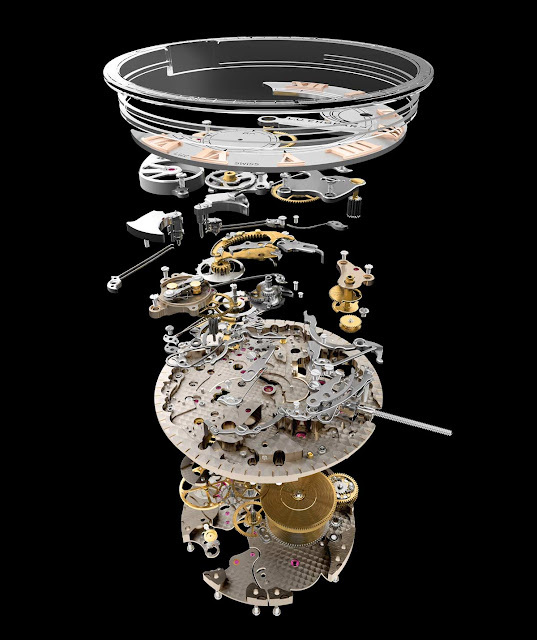 The new calibre 08.01-L, which is subjected to three pending patents, comprises a series of security systems that protect it from all the inappropriate handling operations that can damage minute repeaters. 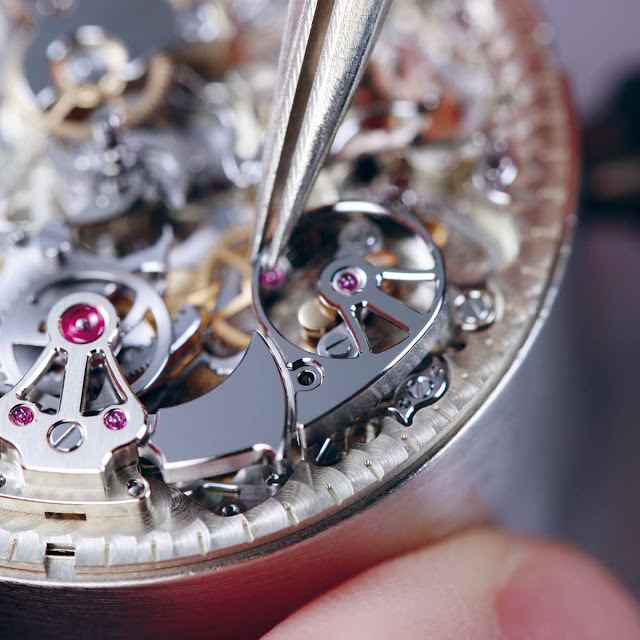 During the chime itself, the crown is disconnected from the movement, thereby making it impossible to perform any time-setting that could damage the movement. 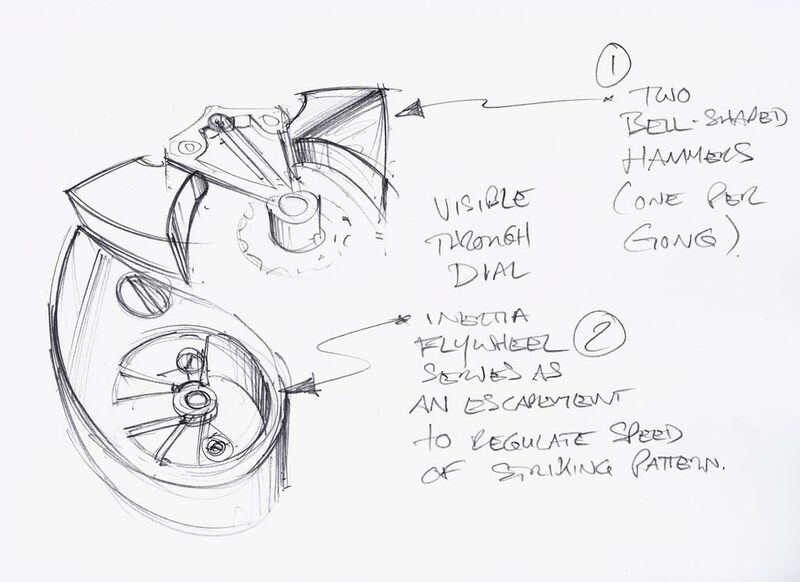 The activating pusher built into the crown is also deactivated at this time, since a second attempt to trigger the mechanism might otherwise force the striking mechanism coupling-clutch. 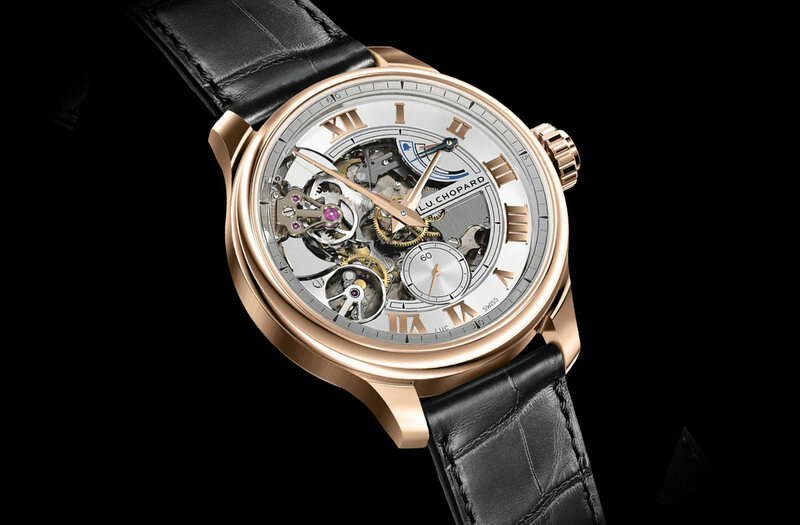 The crown serves to wind the movement in one direction, and its striking mechanism in the other, thanks to a differential gear, which transmits the force imparted by the hand towards the appropriate barrel. 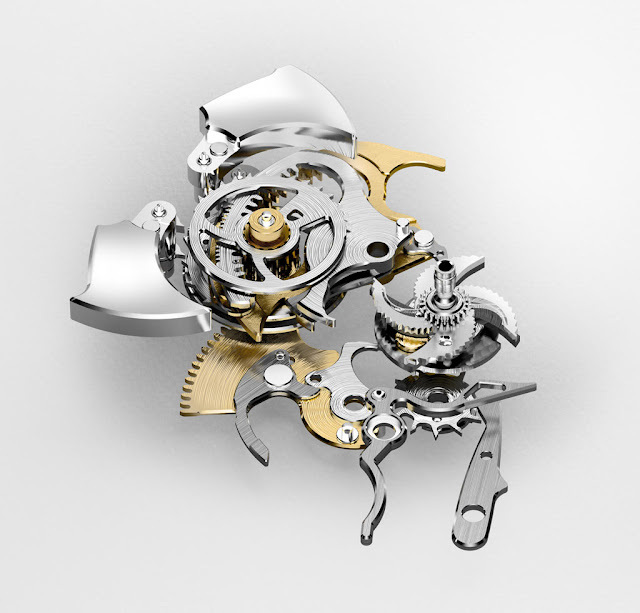 The barrel dedicated to the striking mechanism enables the movement to chime "the longest time" (12:59) 12 times in a row. The double power-reserve indicator positioned at 2 o’clock features two coaxially fitted hands. The first gilded one indicates the movement power reserve, while the other blue one indicates the number of chimes that can be activated. Another distinctive feature of the new calibre 08.01-L is that the rotations of the strike governor – the component positioned at 8 o'clock that gives the striking mechanism its rhythm – are totally inaudible. While components used for the striking mechanism sometimes make a clicking sound at the end of the tune, the L.U.C Full Strike does no such thing. 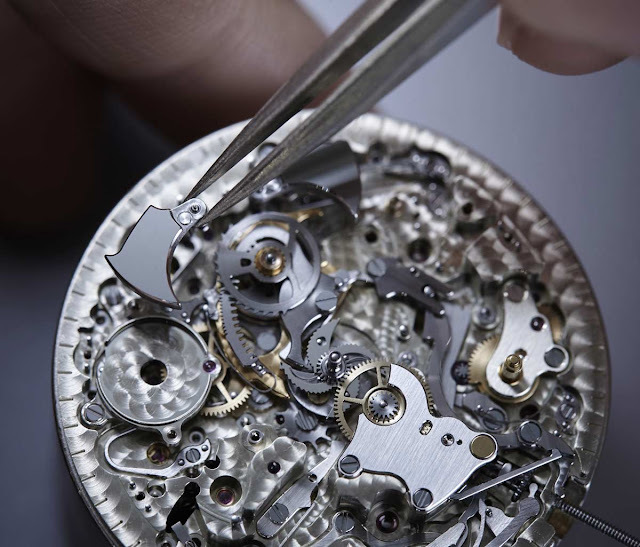 The new Calibre 08.01-L also resolves one of the most disturbing problems faced by a minute repeater: the silence between the last hours stroke and the first quarters stroke, which may vary according to the specific quarter-hour to be struck. In simple terms, the minute repeater sequence comprises one time-window for the hours, another for the quarter-hours and a third for the minutes with silences between them. 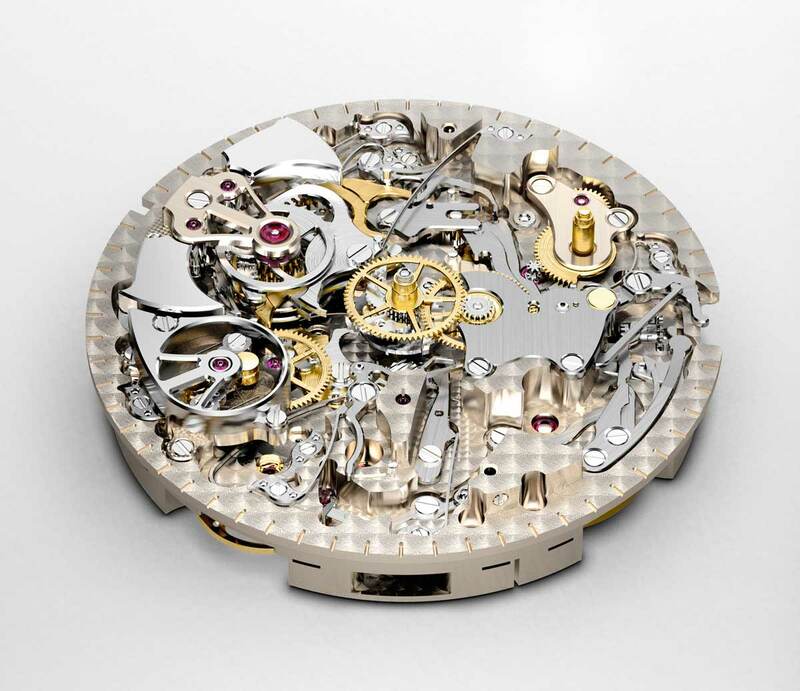 The structure of calibre L.U.C 08.01-L enables it to skip these silences thanks to the fact that the hours, quarters and minutes gear trains are superimposed and mutually drive each other. When one has completed its task, it automatically triggers the next, maintaining a constant cadence. 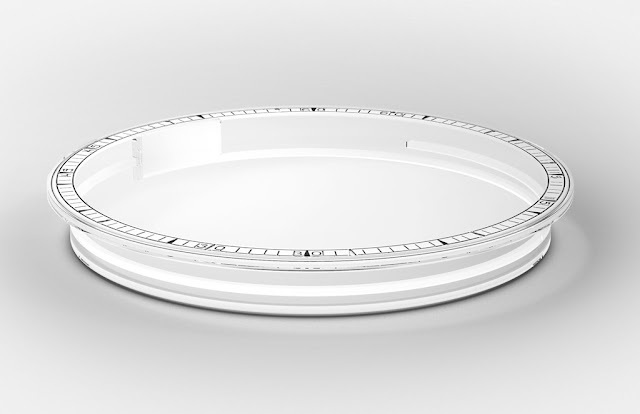 Extremely thin, the Calibre 08.01-L enables the L.U.C Full Strike to measures just 11.5 mm thick in all, a feat for a watch with an over 500-part movement. 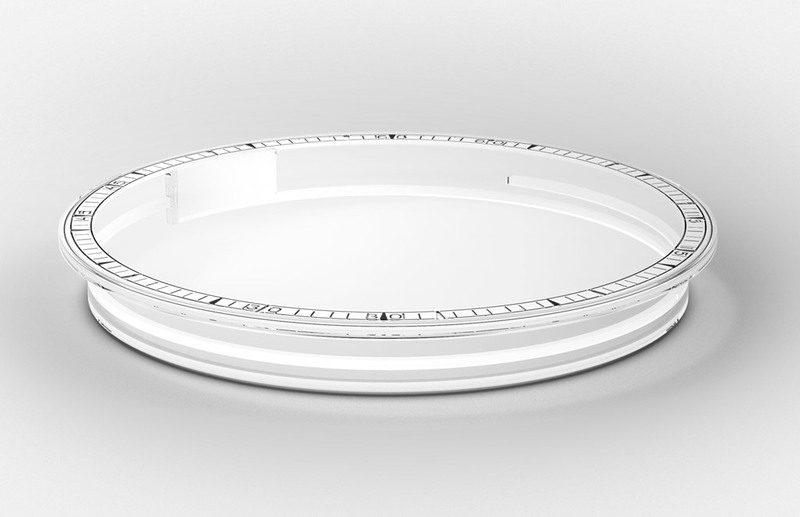 Beating at 28,800 vibrations per hour, it offers 60 hours of power reserve. Both the movement and the case of the L.U.C Full Strike bear the Poinçon de Genève quality hallmark guaranteeing the highest Haute Horlogerie standards. The watch is fitted with a double-sided, hand-sewn and plant-dyed CITES-certified alligator leather strap. This means that whether one is admiring the watch from the dial or the movement side, it always appears attired in the same precious leather. Chopard L.U.C. Full Strike. After more than six years of research and development, Chopard is now launching its first ever minute repeater on occasion of the 20th anniversary of the Manufacture. The L.U.C collection already included the L.U.C Strike One model launched in 2010, which chimes each striking hour. The collection now welcomes a minute repeater entirely developed, produced and assembled in-house: the L.U.C Full Strike. 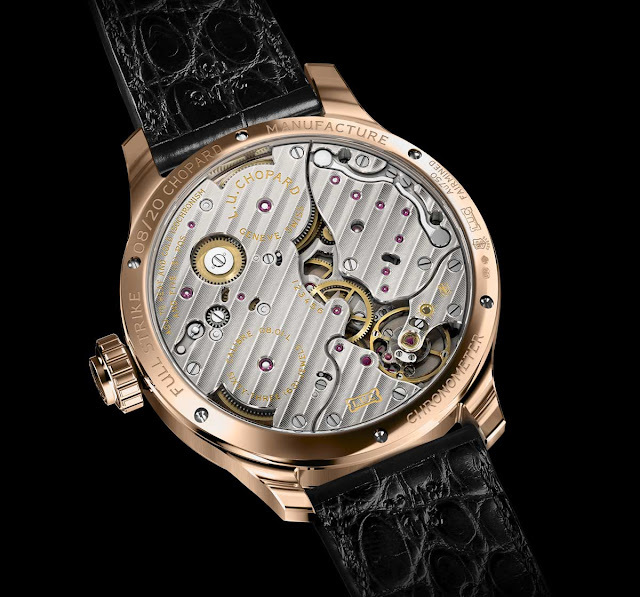 The Chopard L.U.C Full Strike (ref. 161947-5001) is a 20-piece limited edition with a price of Swiss Francs 265,000.